Last New Year’s Eve, a local lawmaker saw firsthand the dangers of celebratory gunfire. State Rep. Armando “Mando” Martinez, D-Weslaco, was struck in the head by a stray bullet from a gun fired into the air by a reveler moments after the clock struck midnight, ushering in 2017. 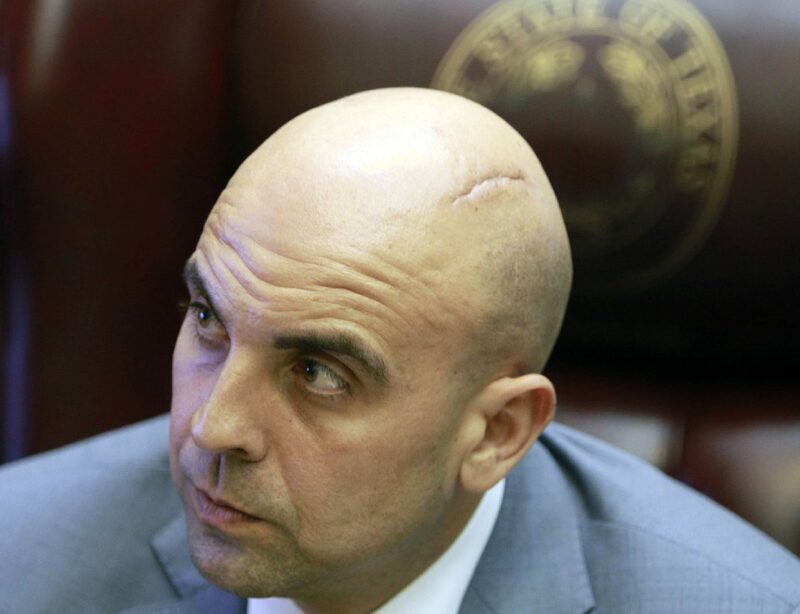 Martinez was rushed into surgery to remove the bullet from his skull, and the experience prompted him to introduce legislation during the spring legislative session to prevent celebratory gun firings. His bill would have penalized people with a Class A misdemeanor who knowingly discharge a firearm without an intended target. The penalty would increase to a first-degree felony if serious bodily injury or death occurred as a result. The bill, which earned the support of fellow Rio Grande Valley lawmaker state Rep. Terry Canales, D-Edinburg, ultimately didn’t make it out of the committee to be voted on by the House. “Unfortunately last session we ran out of time … at the end,” Martinez said Friday, adding that he “absolutely” plans to re-introduce the legislation in the next session, which begins January 2019. Martinez said it’s a common misconception that celebratory gunfire is unique to the border, noting that a man in Houston was struck by a stray bullet from a gun fired into the air on Christmas Day. In May, a woman was grazed by a stray bullet during a baseball game at Busch Stadium in St. Louis. “If we can pass legislation that can potentially save a life, that is much more important than not having a law on the books and people continuing to do this,” Martinez said. Suffice to say, this holiday the state rep. and his family will be watching the clock strike midnight indoors. The Hidalgo County Sheriff’s Office will be providing extra patrol and responding to calls for service over the holiday weekend. “We want people to be careful out there and to not shoot in the air or the direction of houses or neighborhoods,” said sheriff’s spokeswoman Deputy Jena Palacios Pacheco. “Everybody should be able to enjoy (a holiday) and not have to worry about being shot or struck by an object in that manner, especially children who are out there having a good time,” Martinez said. He urges Valley residents not to fire into the night air as they celebrate 2017 coming to a close — “what goes up, must come down,” Martinez said.